This book offers a thorough and detailed overview of the scientific research undertaken as part of the European project "Create Your Future". This project addresses the needs and challenges that chilhood cancer survivors have to face once they overcome the illness and resume their education. The collaboration between cancer patients, young survivors and the project and partner associations proved to be essential to carry out the study. 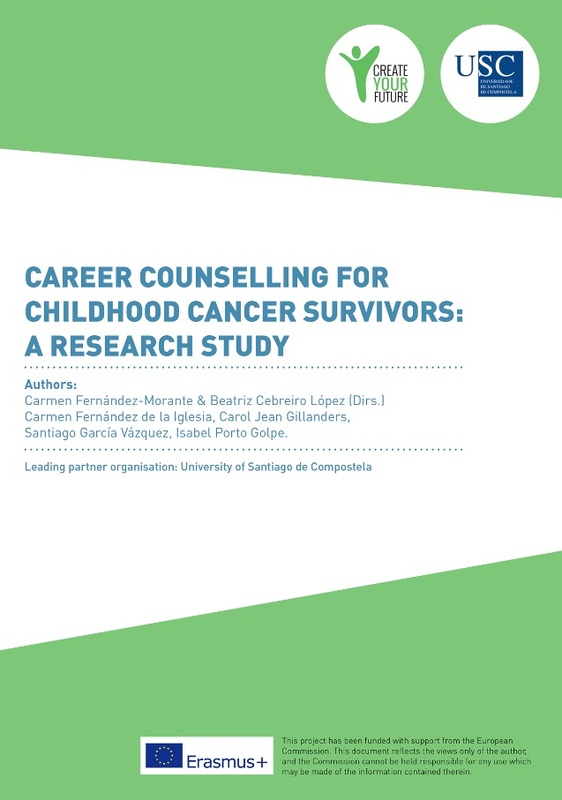 A mixed design research with a total of 355 survivors taking part in the quantitative study and 26 participants in the in-depth interviews from Austria, Bulgaria, Greece and Spain provide relevant information about the need to improve the quality of life and expectations of childhood cancer survivors. The first part (Sections 1-5) comprises the research design and the instruments for data collection whilst the second part (Sections 6-9) is devoted to the analysis of the data obtained and sets forth the main findings. The results emphasize the need to adopt specific strategies to ensure facilities for the continuity of education during and after the illness, specific training for education guidance counsellors and psychologists and programs for survivors, the importance of families as emotional support and the prejudices often encountered in the labour market.